Ana Cristina Oliveira, Outreach Information Specialist, provides information about resources and services for older adults and their families in the Sudbury area. She can provide referrals for home care services, assisted living and nursing home facilities, support groups, adult day health services and more. You may reach her at (978) 443-3055. An elder law attorney is available once a month for free private 20-minute consultations with seniors. 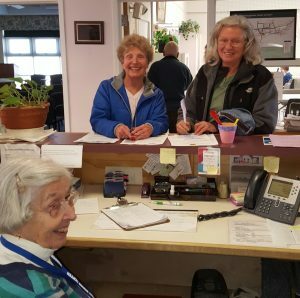 Call the Senior Center to make an appointment , 978-443-3055. Through specially trained volunteers, seniors can get assistance in managing their health insurance (called the SHINE program), completing their income taxes (sponsored by AARP in the spring), and understanding their legal affairs (with a volunteer Elder Law Attorney). Appointments can be scheduled by calling 978-443-3055 and asking for the appropriate program. Free consultations with trained volunteers about your health insurance concerns, including coverage questions, difficulty with claims, and the changes in Medicare. Please call to make a free appointment, 978-443-3055.